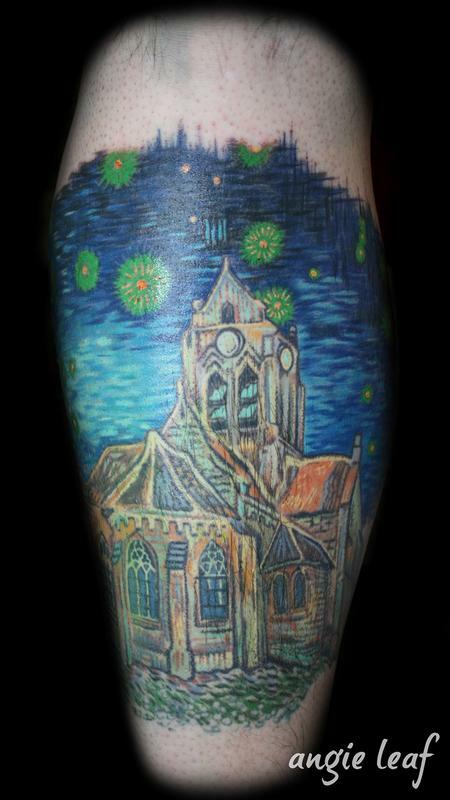 Part of an entire Van Gogh themed leg piece. You can email Fallen Leaf Tattoos and Piercings by filling out this form. Thanks for your support!